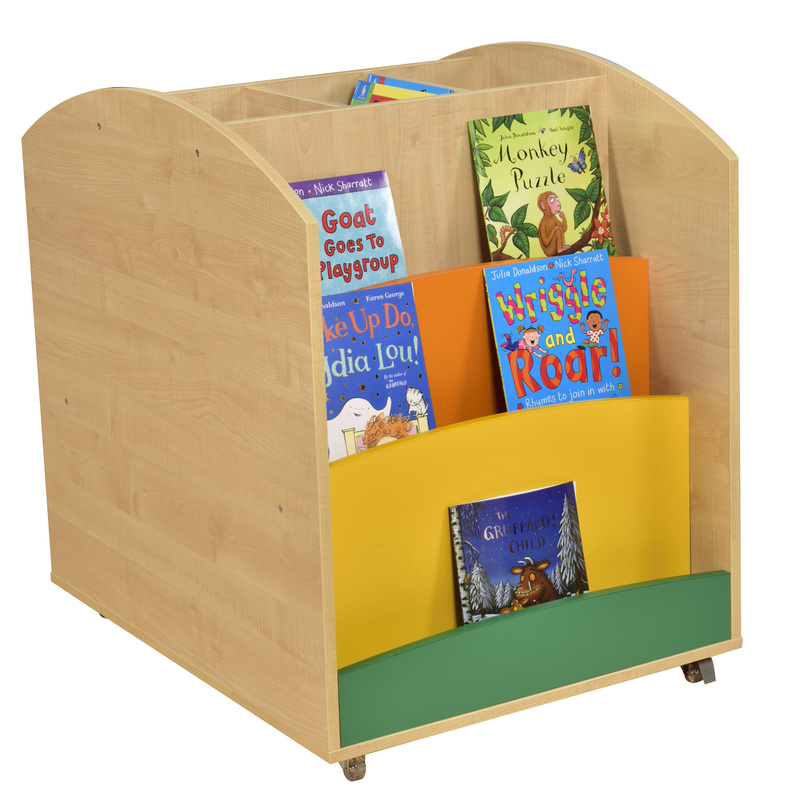 Our Maple book island will be a focal point for storage of classroom reading materials. With 6 face on display shelves and 3 browser compartments. top 300 x D76mm (all 660mm wide). Manufactured from 18mm maple melamine faced particleboard. Supplied flat packed with easy to follow assembly instructions. Unit can be used with seating units (920120 – Reading Nook Rounded End Storage and Seat Unit and 920110 – Reading Nook Storage and Seat Unit).